The Saint John Ale House is at it again. This time the Boardwalk Patio! 22 Aug The Saint John Ale House is at it again. This time, The Boardwalk Patio! 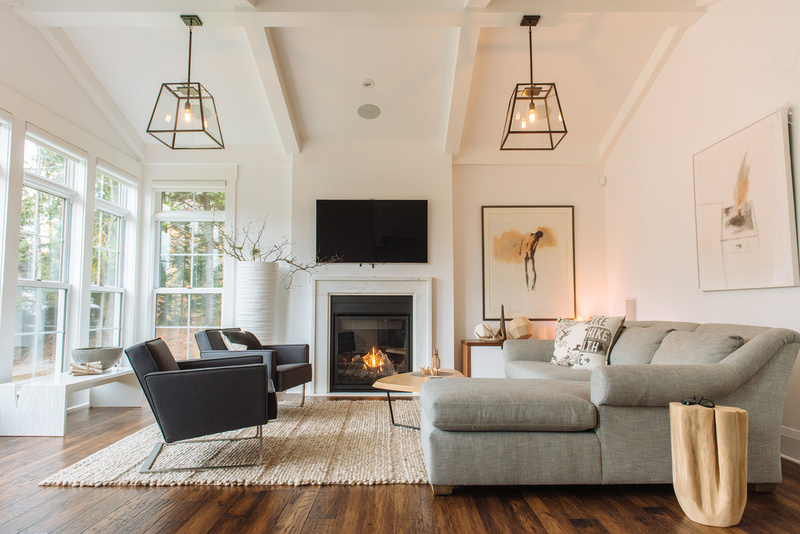 Read on for the after photos as well as a Share to Win Contest! The Saint John Ale House, located in Market Square, has been evolving over the years to update the restaurant’s interiors and keep up with their client’s needs. With the renovations completed on the inside including the bar level in 2013, the upstairs Oh Room in 2015, and the bar level washrooms in 2017, owners Peter Stoddart & Jesse Vergen focused their attention on the restaurant’s exterior; the boardwalk patio. With heavy use and harsh weather off the waterfront, the SJAH Patio has taken a beating. The patio along the Market Square boardwalk is perfect for taking in shows and events happening on the Market Square main stage. Local regulars as well as the influx of tourism brought in via Cruise Ships makes for a very busy summer for Peter, Jesse, and their team. It’s for those reasons that they decided it was time to reach out to us at Tuck Interiors to get a plan together to completely update and enhance the boardwalk patio. In March of 2018, we began the planning stages, of this project. We worked closely with Peter, Jesse, and their team to come up with a layout that would maximize seating, ensure proper flow for guests and servers, and create various levels ideal for socializing as well as viewing the Market Square Main Stage. Instead of using speciality products, we opted to use standard decking materials and installing them at various angles. The result is an angular patio with a subtle pattern when seen from above. The angles help to define the different sections and create an added layer of interest to the design. The pattern is easiest to see in the initial drawings of the patio, below. Market Square & Hardman Group Inc.
Also, we would like to thank Peter Stoddart & Jesse Vergen for trusting us once again and including us on this project! Finally, we get to share the after photos! After many hours, 1400ft of 1×6, 1000ft of 2×4, 2600ft of 2×6, 5000ft of decking, and roughly 22000 screws, we’re happy to share the after photos with you. In addition to the new patio, the SJAH has planted 24 Hops plants (a mix of Nugget, Chinook, and Sterling plants) with the help of Bill Rowe & Jackie Jarvis of LavenHop Farms. LavenHop is a growing destination for discoverers and wanderers in New Brunswick. With a foundation of lavender and hops, the farm also produces over thirty varieties of produce grown entirely without pesticides or sprays. Visitors can take part in u-pick opportunities and order free-range chickens for fall delivery. The Hops plants from Lavenhop can grow as much as a foot per day as they become established and can produce a kilogram of hops by the time they’re ready for harvesting in September! As if the Hops plants weren’t enough, SJAH took it a step further and brought in Valiant Grape Vines. These vines produce blue grapes which can be used for juice, and jams, and most importantly, wine! Unlike the Hops plants, the Grape Vines are hardy enough to withstand the winter and continue their growth cycle each Spring, eventually growing up to 60′! 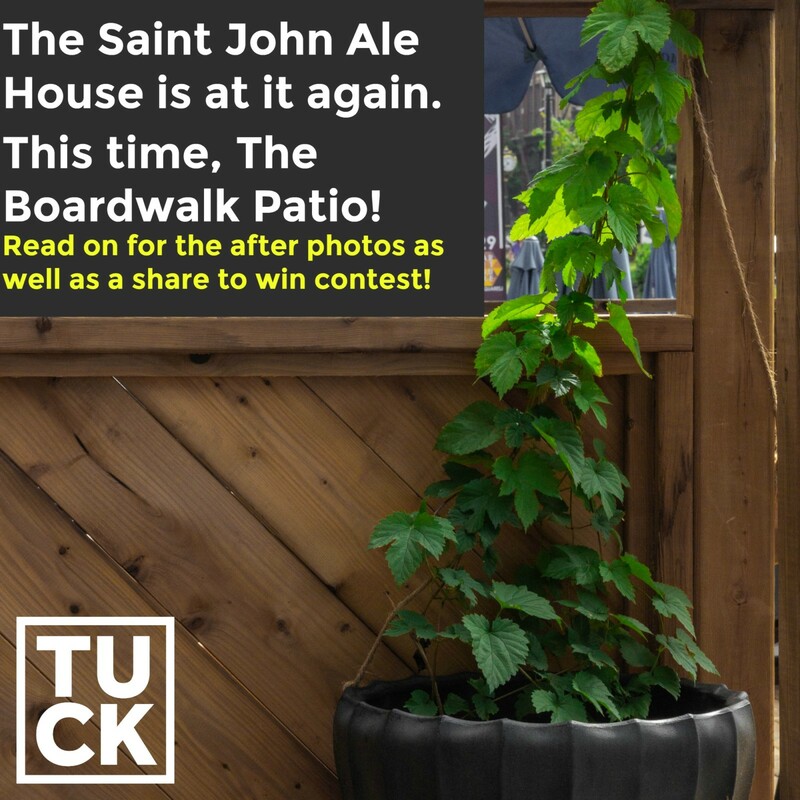 THE SAINT JOHN ALE HOUSE AND TUCK STUDIO SHARE TO WIN DETAILS! Share this post on Instagram, Facebook, and Twitter to be entered for a chance to win a $50.00 Gift Card from the Saint John Ale House and a $50.00 Gift Card from Tuck Studio! For additional entries, share across multiple platforms. Limit to 3 entries per person. The Draw for the winner will take place on <insert date> at <insert time>.